ResourceBank is delighted to publish the inaugural ResourceBank Retail Candidate Insight Survey which has been designed to give Employers a unique insight into candidate needs, wants and behaviours. It also provides a clear ranking of the most attractive companies in each retail sector from a candidate perspective – and will offer the ability to benchmark this attractiveness in future years. 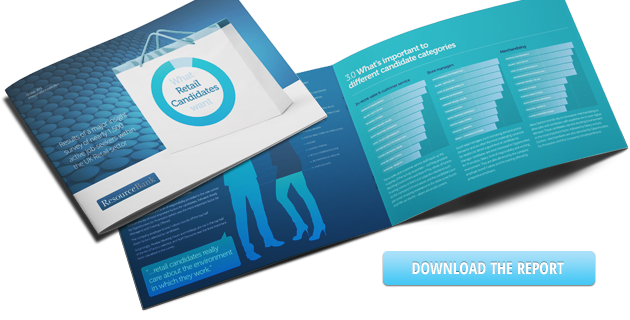 What attracts candidates to retail jobs? Which media do candidates use to look for jobs? What salary increase do candidates want when moving jobs? Who are the most attractive companies in each sector?